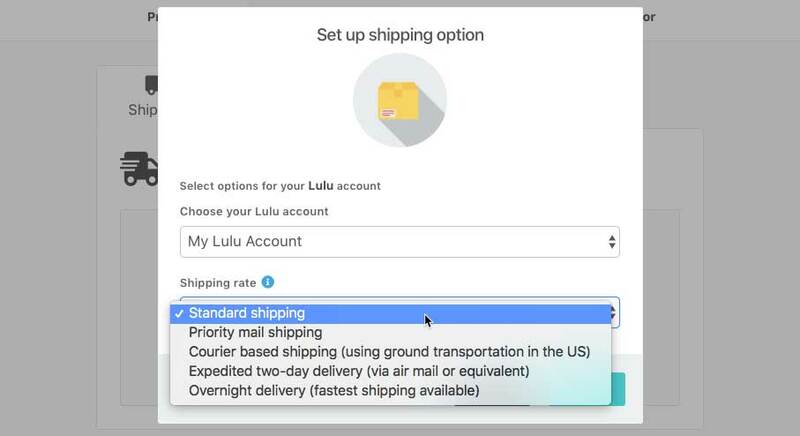 After integrating with Lulu via your account’s Settings> Integrations > Fulfillment services you can set up your products shipping options to have your product automatically fulfilled by them. POD SKU from their calculator here (based on what you’re printing). When using Lulu as a fulfilment service for your product, the telephone field will automatically be enabled for your product. Lulu requires this field to be collected at checkout. Orders will appear in your Lulu account ~1 minute after they complete through your ThriveCart checkout. They will be marked as unpaid and will get paid when you send Lulu the funds to print it, or set up an auto-payment in your Lulu account. If your linked content does not match the settings of the SKU provided by Lulu (number of pages, for example) then the order may also be rejected. 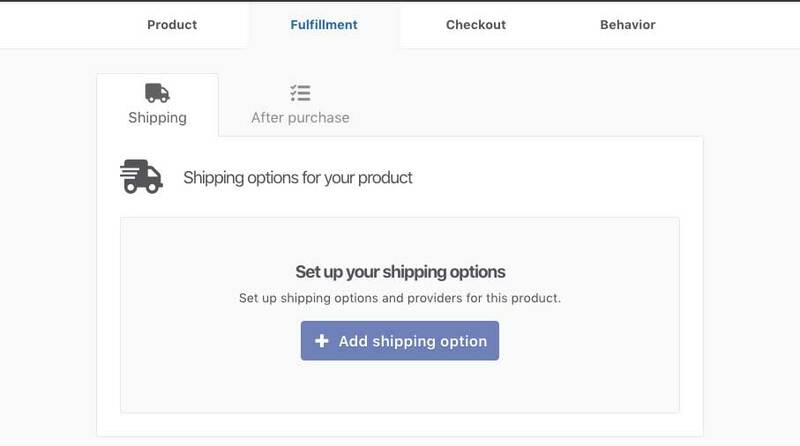 In your product settings, under the fulfillment tab, you can add/edit your shipping options. 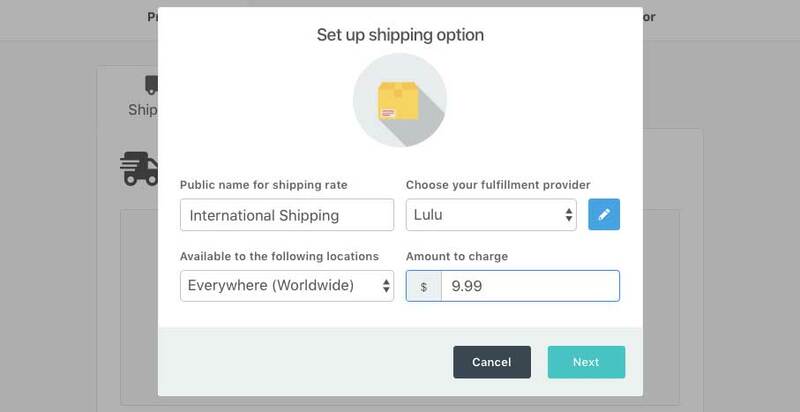 When adding/editing a shipping option you want to choose Lulu as your fulfullment provider in the drop-down. Once selecting Lulu as the fulfilment service, you’ll immediately be shown a new section which has you select what Lulu account you want to integrate with (remember you can integrate with multiple Lulu accounts) and also what shipping rate you want to use for this shipping method. 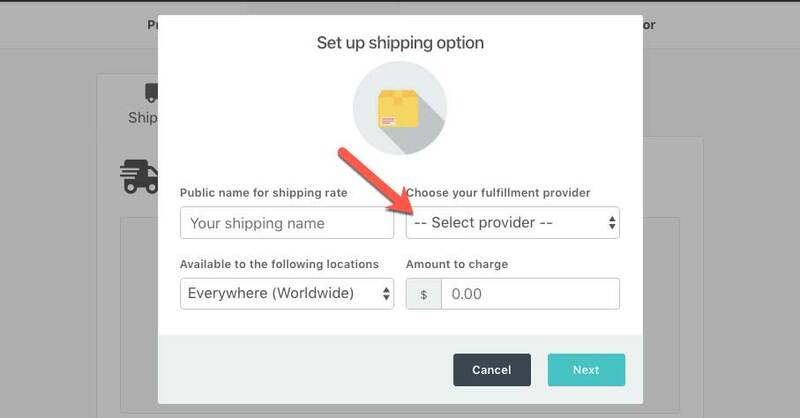 You can then set the public name for the shipping option which will appear on your checkout, where that shipping option is available for, and the amount you wish to charge for it. The next step will then be selected when this shipping option will be available, such as for specific pricing options, specific quantities, if the customer accepts/declines the bump. These options will be based on your product settings at this time. 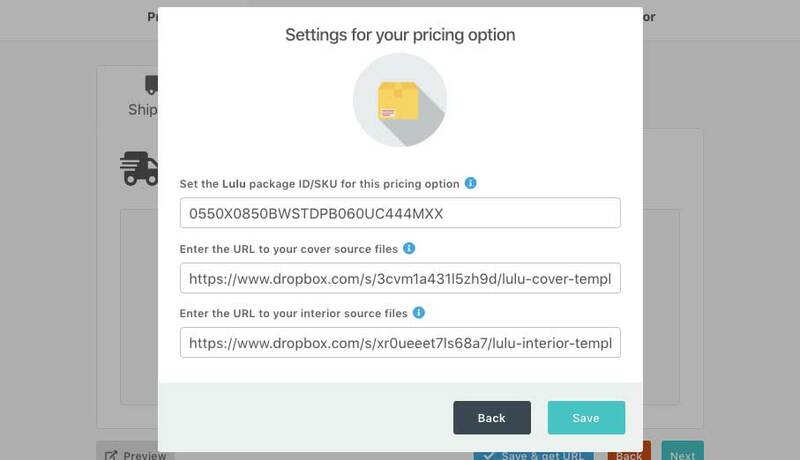 Then you need to enter the Lulu package ID/SKU for that pricing option which you can generate from their price calculator here. You’ll also need to enter the URLs for your cover and interior content. These URLs needs to be publicly readable. Once saved, you’ll have a shipping option set up for your product that when selected by the customer at checkout will now fulfil this order via Lulu. If you have any questions, feel free to contact the support team directly here.